I had the pleasure of interviewing Blake Emal, a young social media consultant and influencer. 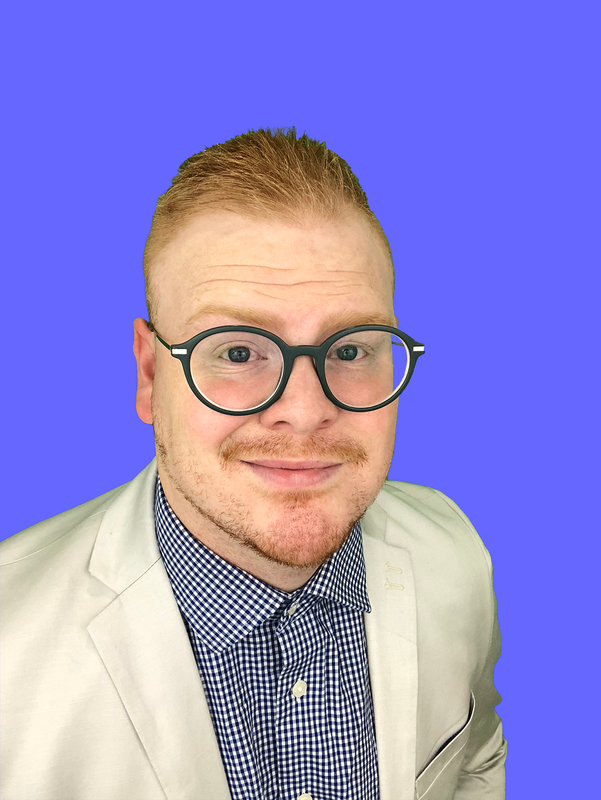 Blake has spent the past 5 years learning the ins and outs of digital marketing, social media, and conversion optimization. He has had the pleasure of working with more than 400 clients in that span. I was born out west, in the great state of Utah. My whole life, I’ve been an extremely quick thinker. In school, I would always finish tests twice as fast as the next quickest kid. In high school, I became the Senior Class President of more than 1,000 kids. I have known, seemingly forever, that I was destined for leadership. I still lacked maturity following high school, so I volunteered as a missionary for 2 years in France and Switzerland to learn how to help people and be an adult with purpose and drive. When I came back to Utah following those 2 years, I began school at Utah Valley University. I immediately knew that I wanted to build a company on the side as I attended, so I began teaching myself the ins and outs of digital marketing and social media. I also spent a bulk of my timing learning the basics of coding. As I worked for companies and agencies in marketing roles, I quickly developed into a talented marketer. I saw the opportunity to begin consulting on my own, and to use my knowledge to influence and help others in their businesses. I took a leap of faith and moved to Florida, away from my comfort zone, to build my consulting business and start my journey as a social media influencer. I am still growing each day, but have been amazed by the wild journey so far. I spend my days consulting clients that have businesses I believe in, recording episodes of my podcast, filming videos for social media, building websites, learning more about the online space, and taking care of my newborn daughter. Some of the requests I get for consulting are really bizarre. For example, I recently received a request from a man that was going into a job interview for a digital growth manager position. The company had given him a case study to dissect, and wanted a full report on what he would do to improve the company based on the information given. Keep in mind, this man was vying for a job with this company and this was his task to accomplish pre-interview. He came to me and asked me to do it for him! I, of course, explained to him that it may not be in his best interest to fake the pre-interview requirements. What if he got the job? He would be like a chicken running around without a head. I also sometimes get students working towards Master’s programs in Marketing that ask me to help them with their homework. Never in a million years did I think I would be asked to do someone’s homework for them as a business owner. Being a one-man show, I believe that the difference between my company and my competitors has to be me. I’ve always been quick on my feet, and a very unique thinker. I’ve never conformed to the idea that just because something has always been done a certain way means it is necessarily the best way. When I was working for an agency a while back, I noticed that our people were very talented, but our processes were horrendous. We didn’t have a repeatable way to ensure success for clients. Training new people was ineffective and took months on end. I took it upon myself to create processes for every aspect of the training period, as well as processes for the tasks and scopes we offered. I got things in order so we could have a more predictable way to train, scale, and make money. I’ve maintained that organized mentality in my own business, and I continue to incorporate my unique ideas every day. I really don’t believe there is any such thing as a self-made man. I had to rely on the confidence and kindness of others to get where I am today, and it will no doubt take another army of acquaintances to propel me to where I want to go long-term. I am particularly thankful to my wife, Leah, for her constant support. Whenever I have to work extra hours, she understands. She is my sounding board for all my ideas, and has a great eye for what works and what is likely a dumb idea. My main focus is the consulting business, but I spend a decent amount of time on my podcast, and it’s really exciting to me. I come up with hundreds of topics to speak about each week, and it is truly an enjoyable practice for me to select topics that will help my audience. It’s hard work building a podcast from the ground floor. There are very few tips out there about how to grow your show that actually work (which is another project I am working on), so it takes dedication and hard work to get anything from it. The podcast is centered around teaching small business owners actionable principles of digital marketing and social media so they don’t have to find an SEO agency to do the work for them. I really believe that these owners know their business far better than any marketer could, so who better to grow it than themselves? As I’ve mentioned before, I am still not satisfied with the results (and I never will be). That said, my main driving purpose behind this entire movement is to help people just like me learn what they need to build their business. I believe that there is a lot of good to be done in this effort. I’m extremely loyal to Mr. Dale Carnegie and his masterpiece, “How to Win Friends and Influence People”. This book taught me about 88% of everything I know regarding human relationships, sales, and building meaningful friendships. More than anything, it taught to me how to listen. I used to think that I knew what was best for me, my family, and my friends at all times. I considered myself wise. When I applied the principles of this book and started listening (without concocting my next response each time the other person spoke), I came to learn how wrong I was most of the time. This skill has become something of a super power for me. 1. There will be so many thing you don’t know how to do along the way. Nobody told me that, in order to start and successfully run a business, you need to be the accountant, consultant, founder, implementer, worker, guinea pig, etc. And some of those things are not going to be your strong suit. I’m not an accountant. Far from it. So you have to become good at Googling things you don’t know and learning what you need to succeed to fill in the gaps. 2. You are always on call as the founder. There are no breaks for the founder. Everything is your responsibility from the get-go. If an international client schedules a call in the middle of the night, you get on the call and you crush it. If you have to work 24 straight hours to meet your goals, you do it. There is no rest for good founders. 3. You need to have monthly strategy sessions with yourself. I will pace around my home office once a month and talk to myself out loud about what has worked in the past 30 days, and what has flopped. I then re-strategize my gameplan and optimize it so I become exponentially more focused each month. 4. You have to A/B test to find what you love. It can take a lot of time to actually find the right business to start. Chances are, you will need to fail at several businesses or endeavors before you actually find what you love. The reason it is important to work toward something you love isn’t just for your happiness. The real reason is because that is the thing that will keep you consistently working to get better, because it interests you in the short- and long-term. 5. You have to separate home from work. Especially when you work from home, it is crucial that your office is only used for official purposes. Your bedroom, kitchen, and living room should also all be used for specifically those purposes. If not, you will confuse your brain into thinking you should be working when you go to bed, and vice versa. Establishing boundaries is hard, but absolutely key. There are so many people I revere and would love to join for breakfast. The big one that comes to mind for me is Tim Ferriss. I can empathize with his “human guinea pig” approach to life (on a much smaller scale), and I would find it fascinating to pick his brain. He is so intelligent and he thinks differently, just like I do. Tim, if you’re reading this, I’ll even pay for the meal!